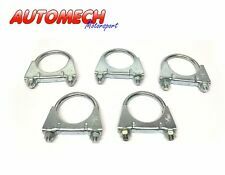 Exhaust Hanging Bracket Rubbers Heavy Duty Durable. 2 x Fitting Rubbers, 1 x Clamp. Highly Durable Hanging Bracket and Rubbers. Content: 2 x Fitting Rubbers, 1 x Clamp. Note : Fitting rubbers mountings colour maybe vary. Mini Cooper. This will not fit the Mini Cooper S. MINI Cooper 1.6i Cat 16v Hatchback, Cabriolet 1598cc (85 kW, 114 HP), Eng:W10B16A. OBD 01/2001-11/2006. 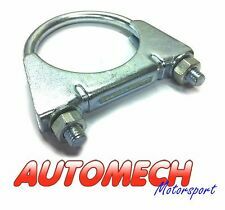 Exhaust Bracket - Mount. Exhaust Mounting Rubber. 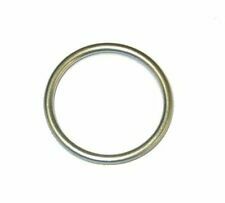 NEW EXHAUST GASKET- CEG37 (47.5mm Int Dia). AUDI 100, Avant 1.6, TD (74-88)3 types - see picture. AUDI 80 GT, GTE, 1.6, 1.8 (76-86)3 types - see picture. Master 2.0 T30,T35 Van, Minibus 1995cc (61 kW, 82 HP), Eng:J5R. Typ:R.2. 03/1989-09/1997. Espace 2.0 MPV 1995cc (80 kW, 110 HP). Espace 2.0 MPV 1995cc (80/88 kW, 110/120 HP). Trafic 1.4 SWB, Van, Chassis Cab 1397cc (37 kW, 50 HP). Fiat Punto 1999 188 [1999-2016] Hatchback Hatchback 1.2 16V 80 1242ccm 80HP 59KW (Petrol). Fiat Punto 1999 188 [1999-2016] Hatchback Hatchback 1.2 60 1242ccm 60HP 44KW (Petrol). Fiat Punto 2000 188 [1999-2016] Hatchback Hatchback 1.2 16V 80 1242ccm 80HP 59KW (Petrol). Daewoo NEXIA (KLETN) 1.5 16V 1.5 L / 1498 cc 1995.02 - 1997.08 66 Kw / 90 HP Fitting Position: Outlet,Construction year from: 03.1995,Construction year to: 04.1997. Daewoo NEXIA (KLETN) 1.5 1.5 L / 1498 cc 1995.02 - 1997.08 55 Kw / 75 HP Fitting Position: Outlet.